It's fair to say that when you're moving a home you have enough to be getting on with. The last thing you need is to be worrying about the removals company you hire. That's why you should hire our removals firm Moving Service. We have experience and expertise you can rely on for your big day. We have fully trained employees who are courteous, friendly and helpful. We have wonderful transport in the shape of our removal trucks which have GPS and lifts. They are also clean and well maintained because and we make sure they are in excellent condition for your house move. We all know that moving a house can be stressful experience but one of the reasons this can be so is that you can always be wary of the unexpected happening. We lessen that fear because we have the knowledge and logistics expertise to make sure that everything is planned right down to the last detail. It's why our removals assessment service has proved such a success. We make sure you get the perfect removals service at the lowest price, something which immediately makes things a little bit easier. You can phone us now on 020 8746 4402 and ask us any questions you want about our removal firm in Cowley and what we can do for you. It is an area of Uxbridge with the postcode UB8. The River Colne forms its western border with Uxbridge Moor further to the west. To the east lies Hayes with Yiewsley and West Drayton to the south. Hillingdon is to the north. The area lies on a ridge and overlooks the beautiful Colne Valley. 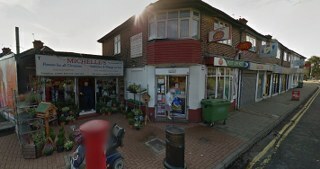 The nearest tube station to the area is Uxbridge which is on the Northern and Piccadilly Lines while the nearest railway station is West Drayton. Both are around a half mile from the centre of the area. Green spaces include Cowley (Hall) Recreation Ground which has a football pitch, bowling green and a sports pavilion amongst other facilities. Fray's River lies between this green space and the River Colne. The A408 High Street/Cowley Road is the main thoroughfare in the area. On the western side of Cowley Road is Brunel University which is also bordered by Kingston Lane and Station Road. Founded in 1966, it has 15,000 students. Cowley Business Park lies just off the High Street and has a number of well-known and local businesses occupying its premises. Significant landmarks in the area include St Lawrence's Church which dates back to the 12th century. If you're moving a house to Cowley, UB8 and you have a number of fragile items you need transported, then there are different ways we can help you. First of all, we have comprehensive training for our removal men which means there is far less chance of things getting broken or damaged unnecessarily. 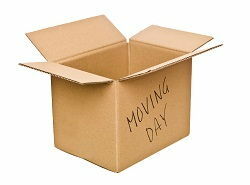 We also have a wonderful packing service which is ideal for every kind of item but especially for those fragile items. We also supply top-quality packaging materials and packing supplies that can also help with your journey to your new home. We are a firm that has many services in fact in addition to our main service of transporting your household contents to your new address. This means you can come to us for removal truck hire which is affordable and gives you the service of top-quality removal vans and trucks in UB8 area. You may also love our man and van service which is ideal for those smaller moves and can save you even more money. Most of all, for your particular move we are a removals company you can depend on completely and that includes giving you an attractive price. So call Moving Service now on 020 8746 4402 and receive your free quote. Quality and affordability are just two things we can offer you right now. Called up Moving Services to help us move awhile back. Will never need to call another removal company again. Best in Cowley UB8.